First place and feeling good! 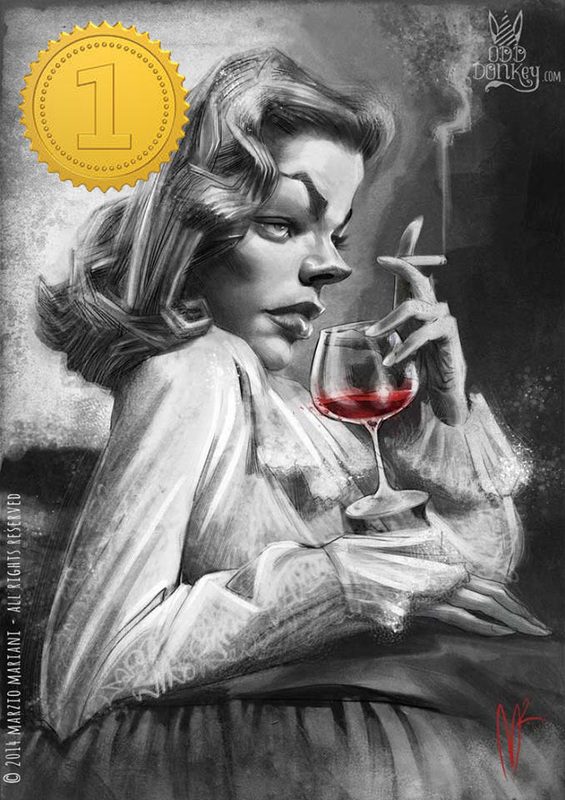 My Lauren Bacall caricature won the first prize in the Caricaturama Showdown 3000! * At par with Thierry Coquelet. This is a real honor for me because Thierry is a great caricature artist. I really want to thank all the people who voted for me. I know that the process is much more important than the result and I also know that the important part is not to win but to participate...but sometimes a little recognition is what it takes to brighten the spirit! Thank you friends, you made my day. Hello there, this is my new entry for Caricaturama Showdown 3000! Lauren Bacall...cigarette and red wine.